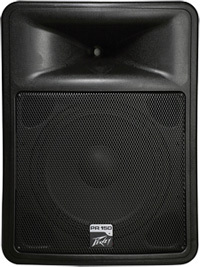 The Peavey PR 15D is a Class D-powered, bi-amped version of the company’s previously released two-way, 15-inch, woofer-anchored speaker system. The intention of Peavey’s PR line is to balance full sound with light weight, and at 37 pounds, this polypropylene, injection-molded loudspeaker manages to fill a room without having to pack a dolly. Lugging speakers can be the most daunting part of getting to a gig but these featherweights make it easy. Measuring 28.56 inches tall x 21.31 inches wide x 17 inches deep, they give up 200 total Watts and 120 dB peak SPL – and that 200 watts is split — 150 watts directed to the heavy-duty woofer with Neodymium magnet and 50 watts dedicated to the RX 14 1.4-inch titanium-diaphragm compression driver (thrown through a molded 90- by 40-degree horn). Frequency response is stated as 47 Hz to 20 kHz. 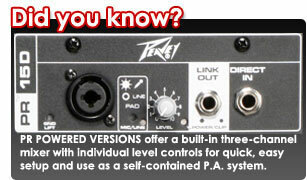 Peavey’s proprietary DDT speaker protection is active on both amps, included to eliminate audible amp clipping (aided by a built-in, heavy-duty crossover and an attenuator circuit to assure constant controlled loudness). A woofer servo aims to sense and remove back-EMF from the voice coil not a result of the drive signal, thus having the cone follow the drive waveform precisely. Along with molded-in hand grips, these speakers are pole mountable. For setup, Link Out jacks allow daisy-chaining. Main input is via the unmarked Channel 1 combo female XLR and 1/4-inch TRS jack. It also helps to know that the PAD status light is green when in line-level mode, and yellow when sensitivity is increased by 30 dB for mic-level signal. 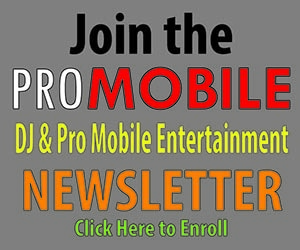 The PR 15D delivered what it promised: clarity with all types of music. The PR 15D never flagged in its ability to reproduce a smooth quality you could hear. It wasn’t, however, always something you could feel; despite the 15-inch woofer, I at times wished for more of a punch, not just a constant push. What was provided wasn’t unsubstantial, I just felt certain club-oriented tracks felt slightly underpowered, and I believe the impression of low-frequency roll-off could benefit from a dedicated sub (such as Peavey’s own SP Subcompact 18X).